We make your office look great which creates an environment your staff are happy to work in. We believe a neat and tidy office creates better productivity. We don’t just clean your office we go the extra mile. We understand how important your staff’s working environment is, and how their space is important to them. We like to think we are invisible – we clean everything but leave everything just the way we found it. Read what our clients have to say about our office cleaning. We specialise in commercial cleaning in Sydney and our clients come in all shapes and size. From large industrial estates to small 4 person offices. We look at every aspect of the job when we clean. Obviously an end of build or industrial cleaning job has different outcomes and needs. 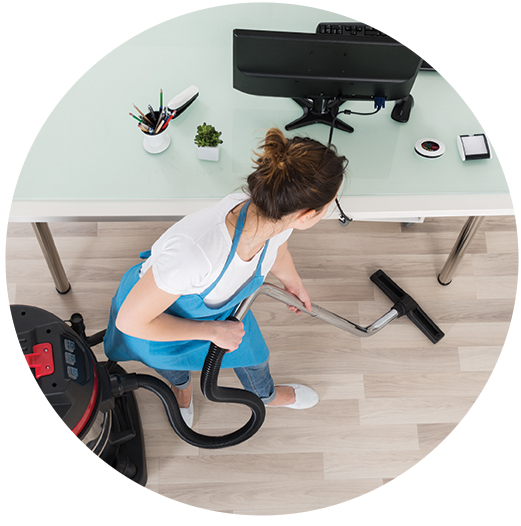 In a commercial office clean you can expect us to address all these areas of your business. This list is dependent on your needs but rest assured this is an overview we always try and go the extra mile and we are always happy to discuss further services or any concerns you may have. Our commercial cleaners in Sydney are very experienced and always go the extra mile. Amazing cleaners, very reliable and trustworthy. Nothing is too much trouble, with wonderful friendly service. Highly recommend. Very pleased. We’ve been very happy with Infoclean’s service! They’re very responsive and friendly, and have gone above and beyond for us in helping us with our business’ cleaning needs.